I’ve been wanting to share this gift that a teacher I’ve worked with gave me. I work as an interventionist in the schools helping children with special needs. I thought this bracelet was such a special gift because it has the puzzle sign in honor of Autism. Working with kids and families with special needs is so rewarding in more ways than you could imagine. This bracelet is from a company called Alex And Ani. They are unique because their jewelry is made with positive energy in mind. Their designs are crafted with symbols that represent important causes, and meaningful ideas. A part of the profits from the sales are donated to organizations that help many people around the world. I love the idea that in wearing one of these bangles I am affecting people in a positive way. 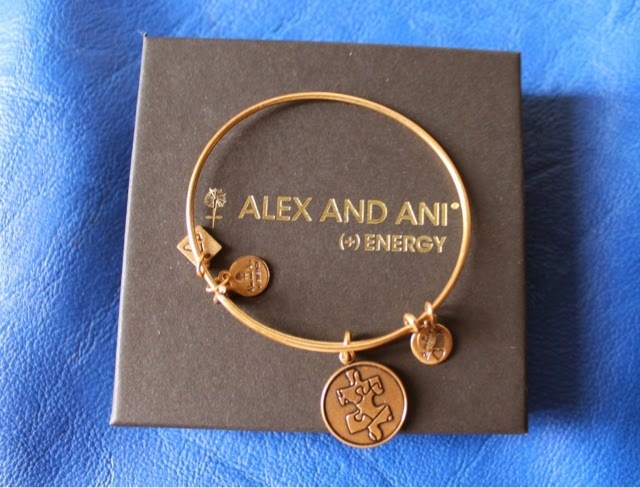 You can learn more about Alex And Ani by going to their site here. Hope you like them as much as I do.